Have you or a loved one been harmed by an error in medication? We’ll get you the compensation you deserve. 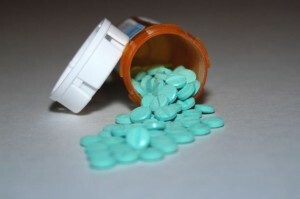 According to the FDA, since the year 2000, there have been more than 95,000 reported cases of medication errors. And these are just the ones that are reported – chances are there are many cases that go unreported. The FDA also reports that there are 7,000 deaths per year in the U.S. resulting from medication errors. If you are a loved one has suffered harm due to a medication error caused by carelessness or error on the part of the health care system and you would like to consult with an attorney, please contact us at the Bennett Law Group. We have achieved significant results on behalf of many previous clients in handling medication error cases. Here are some testimonials from satisfied clients that we have represented. Most medication errors can be prevented if there is proper communication and adherence to precautions and procedures by medical and pharmaceutical personnel. Unfortunately, medication errors are also commonly made in nursing homes, where your loved one is entirely dependent on someone else for their well-being. Distribution of medications in a facility such as a nursing home is done from a cart, where the nurse goes from room to room and dispenses each patient’s medications to them. This process can take several hours. Errors can happen due to the complexity of the cart, the amount of time it takes to dispense meds to all the patients, and in some nursing homes, the great number of patients in the facility. Medication Name confusion – 2 medications with similar names could be confused easily. Transcription errors – errors made when copying notes made on a patient’s chart. Wrong product dispensed – the nurse or medical professional incorrectly reads the medication name and the wrong medication is given. If you or a loved one in a hospital, nursing home, or other medical facility has suffered injury due to a medication error made on the part of a doctor, nurse, or other healthcare professional, call our attorneys at the Bennett Law Group. We have over 50 years of experience representing clients throughout the state of Georgia who have been injured through no fault of their own and due to the negligence or carelessness of others. We will do everything possible to ensure that you receive maximum compensation for your injuries, lost wages, and medical expenses resulting from your injury. Contact us online or call us at 404-541-9330. We are here to help.